I love it when each time I pass the Stratford Westfield food court, there seems to be a new stall by the escalators. 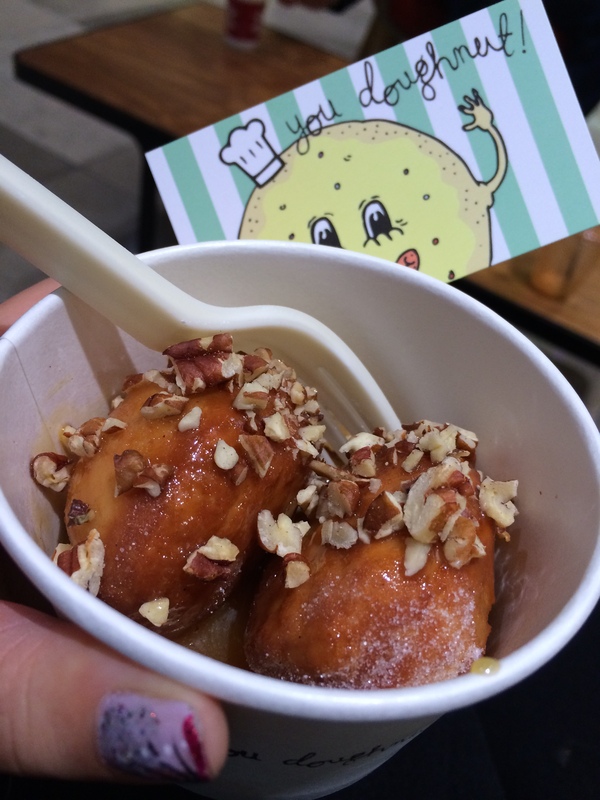 “You Doughnut” took over and I remembered tasting the doughnuts at red market in Old Street. Each time you see the girls the toppings are different. One look at the words “salted caramel” my mouth automatically ordered two pieces. The doughnuts were freshly prepared not too piping hot, drizzled with salted caramel sauce running down the sides of the white pot. 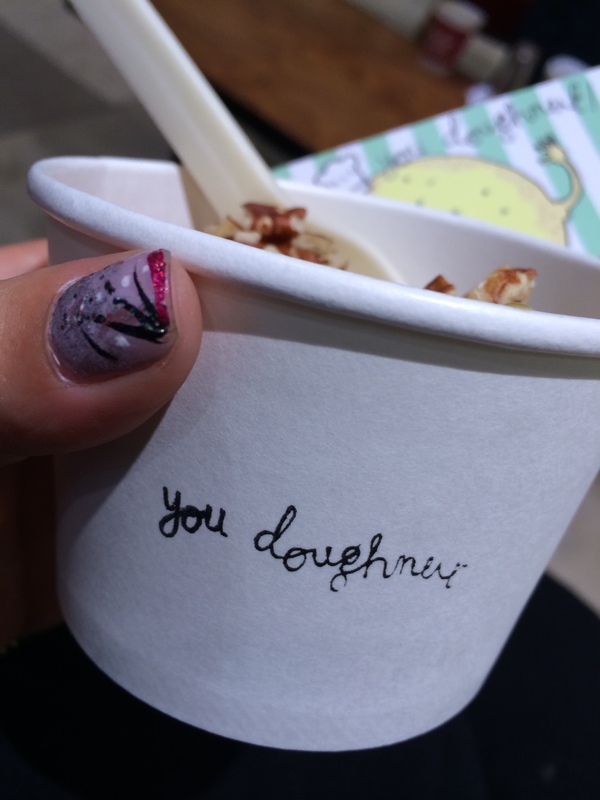 Topped with toasted pecans, I could have drunk the salted caramel clean but refrain myself. To find out where they heading next follow them on twitter.